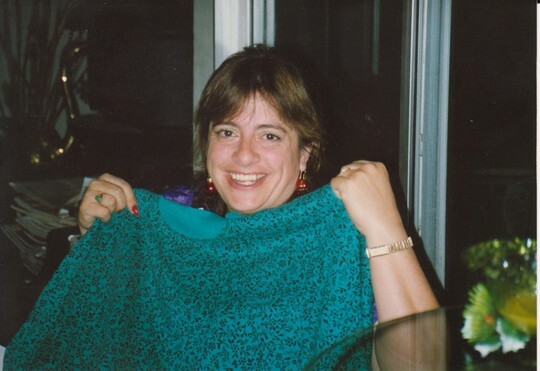 Denise Ghiglione (Termini) passed away today, March 10, 2015 after a four year battle with Cancer. Further details will follow. I always loved Denise, she was always such a sweet sweet person, and a person you were happy to call Friend This past year I talked to Denise many times by phone...she was always concerned about everyone else in spite of all she was going through ...I lost my Husband last year to Pancreatic cancer. Denise was so worried about me and called me to make sure I was ok we talked forever...it was one of many conversations we would have together and I enjoyed each and every one of them...she was always "upbeat" when we spoke and she always put a smile on my face just to talk to her....she always made me feel better about things. I will miss my Friend, Deni, very much and our conversations....together. Remembering Denise from dublin elementery and high school, denise always had time to talk with a big smile, always, and a heart to match. to Denise's family and friends, please accept my condolences. To Denise's family, I offer my condolences. I am thankful she is out of pain; cancer is an ugly thief of life. Denise was a sparkle, though we did not keep in touch, just thinking about her brings a smile to my heart and I am certain she brought joy to those that surrounded her. Life is very precious indeed!!!!!! So very sorry to hear about Denise passing.